As reported by top media sources, the Walton’s are undoubtedly the richest family in the United States at present. 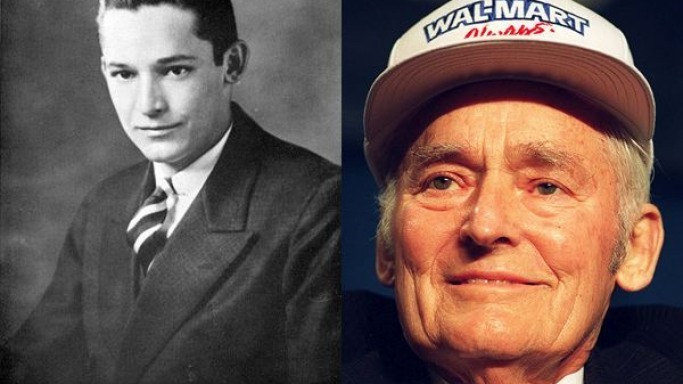 Media sources confirm that the descendants of the super-rich Wal Mart founder Sam Walton currently own more than 50% of shares of the family controlled business, The Wal Mart Corporation. Incidentally, Wal Mart Corporation is ranked as one of the biggest companies in the world and the firm is renowned for its commanding hold on the money spinning global retail business chain. According to the Forbes study that meticulously complied the ranking of the topmost 10 wealthy Americans, four members of the Walton family currently find a place on the elite list. Reports even claim that the Walton family members have spent some portions of their huge wealth in amassing vast unique collections of luxurious cars, art objects and real estate holdings. However the Walton family also believes in donating a significant part of their huge fortune to various charitable organizations. Although the Walton’s have given away a sizable portion of their wealth to philanthropic causes, they have apparently made optimum use of the existing tax loopholes present in American law to become even more powerful and rich. Some media reports have even claimed that the multimillionaire Walton family has misused real estate tax loop holes to make their huge fortune. However it must be noted that all these occasional scandals, lawsuits and the resultant backlash received from the American public have not made any dent to the Walton family’s financial fortunes. The Wal Mart first family has managed to retain its massive clout in American life in spite of all the negative publicity surrounding them. Reportedly more than 90% of Americans stay in close proximity to the gigantic Wal Mart retail stores, a factor that has considerably aided the company’s phenomenal financial growth during the past few decades.